The Dynamic Spectrum Alliance (DSA) is a global organisation which advocates for laws and regulations that will lead to more efficient and effective spectrum utilisation around the world. Each year, the DSA holds a Global Summit in an emerging region, bringing together leading spectrum policy makers, Government officials, international regulators, key stakeholders and academics to discuss spectrum best policies and promote the DSA’s key messages on a global stage. This year, the DSA Global Summit was held in Bogota, Colombia, and Proactive PR was asked to create a tailored PR strategy to increase awareness of the event, specifically within the Latin America region. The language barrier between the Latin American press and the predominantly English speaking DSA team created an additional challenge to this campaign – which Proactive PR was also able to help overcome thanks to having a fluent Spanish speaker within its DSA team, enabling conversations to continue unhindered. Proactive PR created a tailored and detailed PR strategy, which focused on achieving strong coverage in both Spanish and English to increase awareness of the event within the Latin America region. Global Summit planning calls began eight months prior to the event and Proactive PR was there every step of the way to provide expertise and industry knowledge. Proactive PR established the key influencers and organisations attending the Summit to highlight in press releases, social media campaigns, blogs and feature placements to raise awareness of the event. Targeting key Latin America technology and telecoms publications was also key to increasing event awareness. As excellent relationship builders, Proactive PR established strong links with the editors of top technology publications in Latin America – including TeleSemana and Convergencialatina – and secured webinars, video interviews, feature placements and media partnerships. Due to the increase in scale of the Summit and the language barrier, DSA decided it would also be beneficial to have on-site support in Colombia from the Proactive PR team. Supporting clients at events is something Proactive PR excels at and our Spanish-speaking DSA Account Executive flew out to support the event. Having on-site PR support took an enormous amount of pressure off the DSA admin team which was able to concentrate on looking after speakers and ensuring the event went without a hitch. 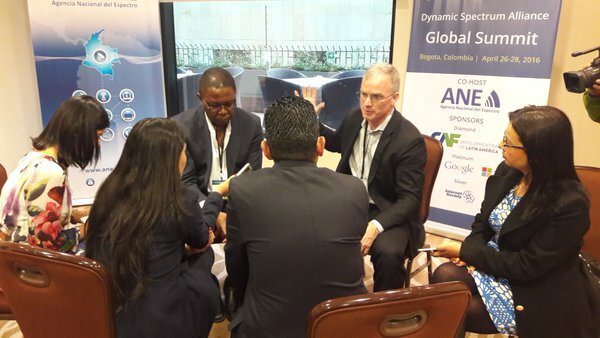 While on-site at the Global Summit, Proactive PR coordinated a media conference with the local Colombian press using the great contacts made prior to the event. Proactive PR also managed the DSA social media channels, posting live tweets from the panel sessions and monitoring the event hashtag; acted as the main on-site contact for press; and wrote all of the daily press releases after attending the speaker trackers and interviewing the key spokespeople for quotes. The press releases had to go through a rigorous approval process on-site before being distributed to targeted media lists. Proactive PR generated 1,032 pieces of coverage from all seven press releases issued specifically for the DSA Global Summit 2016, including outstanding pieces in El Tiempo, El Espectador, TeleSemana and La Republica. There has been a significant increase in Latin America media awareness for the DSA which has led to top tier publications offering the Alliance regular content placements to publish their sector-leading opinions. The DSA Twitter account gained 55 new followers on the first day of the Summit and over the course of the event DSA tweets earned 6,171 impressions. The DSA was so impressed with Proactive PR and the impact generated in the media, it has already asked for a PR strategy to be drawn up for the 2017 Global Summit which will be held in Cape Town, South Africa.